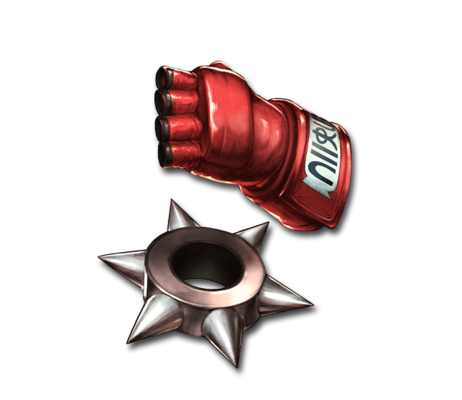 These weapons are soaked in the blood, sweat, and tears of indomitable fighters. Their passion becomes yours the moment you don either one. When Gran is the main character, this weapon's Charge Attack is called Metsu Hadoken. When Djeeta is the main character, this weapon's Charge Attack is called Hosenka. Metsu Hadoken and Hosenka have different animations but both have the same effect. This page was last modified on 18 February 2018, at 12:55.